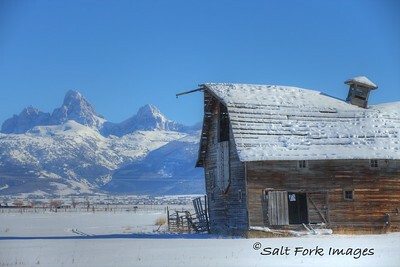 It's not always easy to get to Teton Valley but it's always worth the trip. This year we left DFW on the day after Christmas and ALMOST made it to Idaho Falls before they diverted us to Salt Lake City. 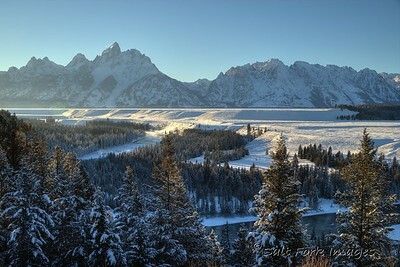 A day later we finally arrived in Teton Valley - and boy, was it COLD! I'm not sure if the cold caused the navigational system at IDA to malfunction or what, but we sure LOVED that bus ride from SLC to IDA. 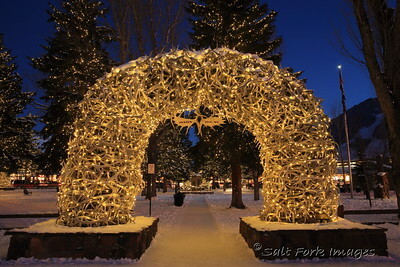 We skied one day at Grand Targhee on the west side of the Tetons and then spent a couple days enjoying Jackson Hole. 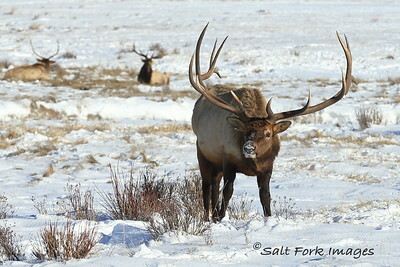 One of our favorite places to drive is around the back side of the National Elk Refuge. 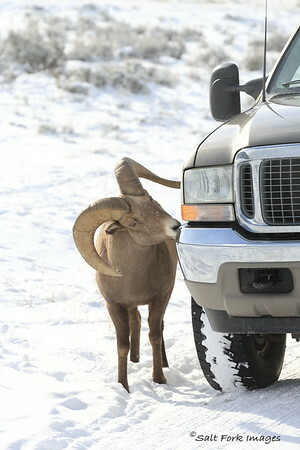 That's where we saw a group of bighorn sheep trying to wash a pickup truck. 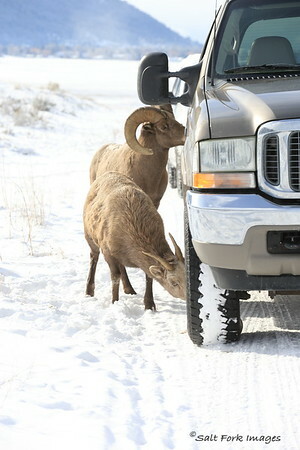 I'm guessing they like road salt! 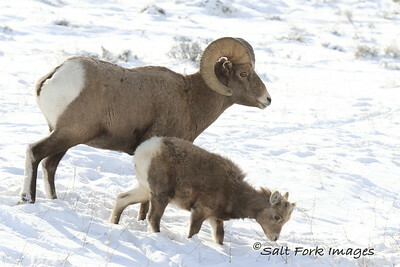 They sure are beautiful animals! 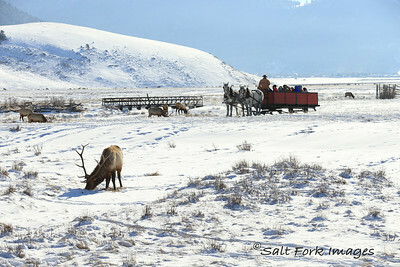 We also took a sleigh ride in the Elk Refuge. It was so cool to get to see those bulls up close. 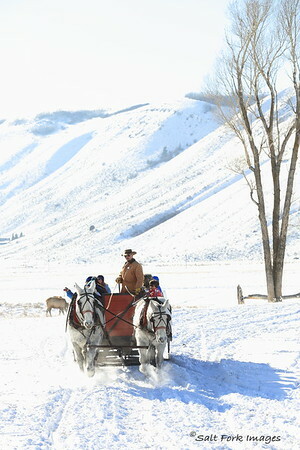 After the sleigh ride we went into Grand Teton National Park to the Snake River Overlook. I was doing my best to channel Ansel Adams when I took this one. 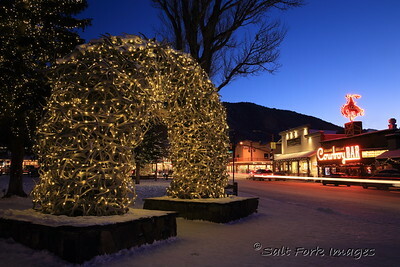 Oh, and by the way, it was -17 degrees F when I took it! Of course we stopped in downtown Jackson to enjoy the shopping and the scenery. 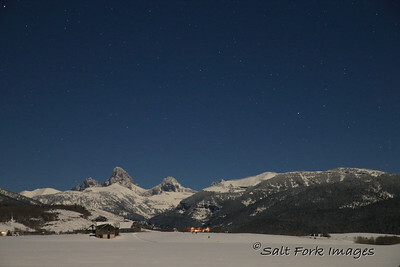 On New Year's Eve I went out at about 11pm to take some moonlight photos on the Idaho / Wyoming border. Five seconds on a tripod with the ISO set to 3200 yielded some pretty interesting photographs. 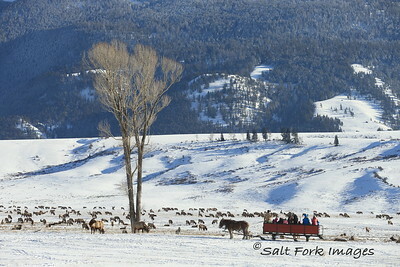 And my favorite shot of the trip was on New Year's Day in the middle of Teton Valley. I'm not sure how many more years this old place will survive. Getting back to Texas was an adventure, too. We were delayed two days and then our bags didn't make it for another day after that. But, hey, who cares? I got to go to IDAHO again. And I LOVE that!